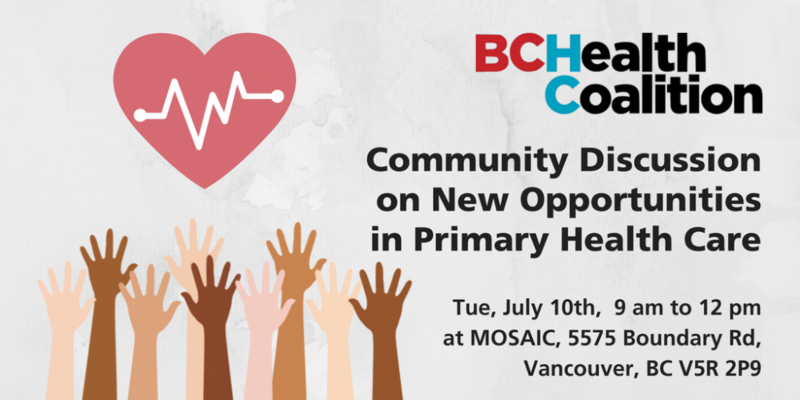 Join the BC Health Coalition in a discussion about new primary care initiatives happening in BC, and hear about a community governed and interdisciplinary team approach to primary health care delivery to meet the needs of immigrants, refugees and older adult immigrants. Light refreshments provided. There is limited seating. To RSVP, please email Kari Kesslar at k.kesslar@shaw.ca.